South African startup Lumkani is next week launching a crowdfunding campaign aimed at raising US$45,000 in order to equip 3,000 homes with its fire detection devices. Lumkani’s product is an innovative fire detector designed to decrease shack fires and their spread. The networked heat-detector creates community-wide responses in fire situations coupled with smart units, which constantly sense the system and relay information remotely. Disrupt Africa reported in March Lumkani won the South African leg of Chivas Regal’s The Venture competition, walking away with US$50,000 and the opportunity to represent the country at the global competition in Silicon Valley. 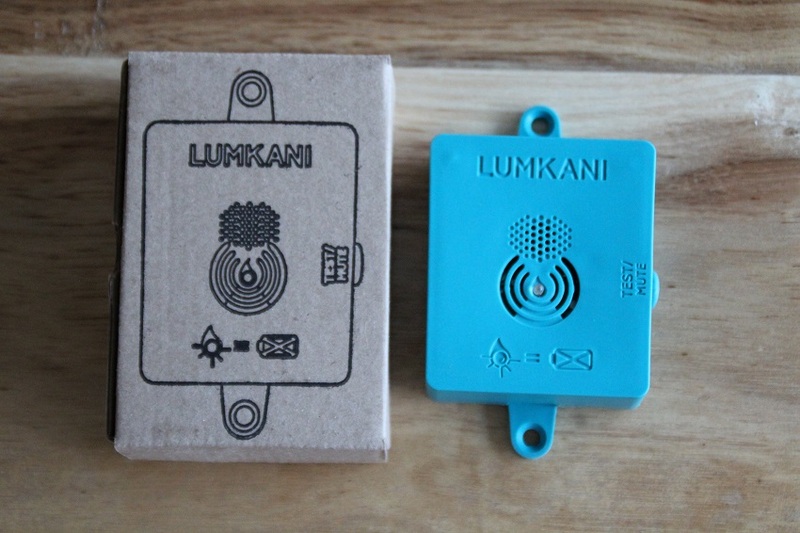 As part of this, Lumkani is launch a crowdfunding campaign on Indiegogo on May 11, asking people to support its campaign to put 3,000 fire detection devices in high fire risk households across South Africa. The greater share of votes received on the The Venture website will increase Lumkani’s share of US$250,000 pledged by Chivas towards the Indiegogo campaigns. “Our call to action is for people to buy a device for a family living in a high fire risk community at US$15 per device,” co-founder Emily Vining told Disrupt Africa. Some of the perks for backers include a Lumkani device for themselves, Lumkani beaded keyrings, carved wooden Lumkani flash drives, clear vinyl bumper stickers, and a Cape Town post card and electronic perk. “Our large corporate perk gets their logo on our website for three months and we include their logo in the Lumkani device boxes, and a framed limited edition device – for a donation of US$1,500,” Vining said.